Four years ago when he first ran for office, State Senate Candidate Rick Bertrand told us, and told his voters, that he supports the right to life. And during his first four years in the Senate, he backed up those words with actions, by cosponsoring Iowa Pro-Life Action’s legislative agenda every time we asked him to. In 2014, when running for reelection, Senator Rick Bertrand was one of the first to return the Iowa Pro-Life Action candidate survey with 100% Pro-Life responses. And that’s why I’m so proud to announce today that Senator Rick Bertrand will be the lead sponsor behind IPLA’s Life-At-Conception act for the 2015 legislative session! This legislation is the real deal. At IPLA, we do not exist to “manage” abortion. We are not interested in “regulating” abortion. We are not interested in trying to tweak around the peripheral edges of the abortion issue. We want to see abortion ended in this state – and we want to see it happen now. 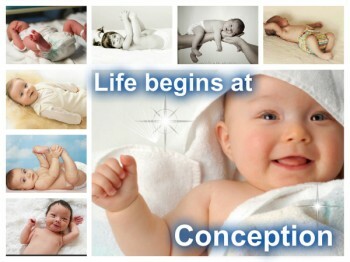 The Life-At-Conception act would do just that, by simply defining when life begins. What this means for you and I, is that when the state legislature defines life as beginning at conception, all the same legal protections that you and I enjoy will be the same endowed to this unborn baby. This is our goal for Iowa. The complete elimination of abortion from our state! Life-At-Conception legislation would accomplish just that. That is exactly why the pro-aborts that circle around the Capitol like vultures are so vehemently opposed to it. I expect this to be a full-out fight for the entire 2015 legislative session. Legislators in Iowa are DESPERATELY trying to avoid voting for or against this critical legislation. They know what happens to legislators who are on the record opposing life, having recently seen their longtime colleague and former State Senator Daryl Beall get taken out of office in the last election – in part by mobilized pro-life voters who were furious after learning about Senator Beall’s longtime support of abortion. >>> Please take a moment to thank State Senator Rick Bertrand for his willingness to champion the Life-At-Conception Act by emailing him today! The pro-abortion lobby will undoubtedly be hounding him for daring to stand between them and their blood money, so make sure he feels your support. >>> Take a moment to email YOUR State Senator and insist that he/she cosponsor the Life-At-Conception Act and add their name to Senator Bertrand’s, as one who can be counted on to defend the unborn. Lots of legislators talk about being pro-life at election time – and many of them are. Now is their chance to demonstrate their support, by cosponsoring this bill that would end abortion here in Iowa. Of course, because of what a hard push we know this is going to be, we are trying to mobilize tens of thousands of pro-lifers like you across the state. So if you can help us out by chipping in just $10 or $15 today, I would really appreciate it, and I can assure you that every penny will go towards mobilizing pro-lifers across the state. Please be praying for Senator Bertrand, all of us at Iowa Pro-Life Action, and most of all, for the unborn babies who are hoping that you and I are successful in our endeavor to purge our state of abortion. P.S.In just a couple days, State Senator Rick Bertrand will be introducing the Life-At-Conception Act in the Iowa Senate! This simple legislation would declare that ALL life begins at conception, and as such, is deserving of all the same legal protections that you and I enjoy as residents of the State of Iowa. In other words, it would END abortion here in Iowa, once and for all. Take a moment today to thank Senator Rick Bertrand for his leadership on this important issue (his information is above). Also, make sure to contact YOUR State Senator and make sure he or she knows that he or she needs to cosponsor this legislation and demonstrate his/her support for the unborn here in Iowa. ← Do You “Like” Iowa Pro-Life Action?